This dough is not only great for cut-out cookies, it also acts as the delicious bottom layer of the Florentines. In the bowl of an electric mixer, combine the softened butter, zest, sugar, salt, and vanilla extract and beat with the paddle until light and fluffy. Add the egg and beat it in well. In three additions, stir in the flour until blended. Spread the dough out, about an inch thick, on a sheet pan, cover with plastic wrap, and chill until firm. You can refrigerate the dough, wrapped well, for up to a week. When ready to roll, heat the oven to 350°F and line baking sheets with parchment. Allow the dough to soften slightly. You may find it easier to work with half of the dough, keeping the other half chilled; dough that’s too warm won’t hold its shape well. Generously flour your work surface. Roll the dough 1/4 inch thick. Dust off excess flour with a clean, dry pastry brush. Cut out the shapes you want, rerolling the scraps to make more cookies. Arrange the cookies 1 inch apart on the lined baking sheets. Bake until the edges turn golden, 15 to 20 minutes. 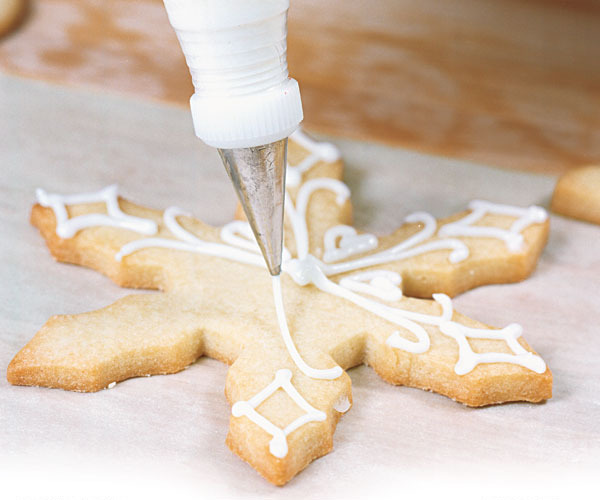 Let cool on the baking sheet on a rack before transferring or decorating. For the best results, measure your flour by weight instead of volume. (1 cup of all-purpose flour equals 4-1/2 oz.) If you don’t have a scale, be sure to use the proper technique when filling your measuring cups.Editor’s note: Vanilla extract was inadvertently left out of the instructions when this recipe was originally published. The error has been corrected. Excellent recipe! I found the dough to be a bit tough to roll out, but after a few handlings/rollings it softened up a bit. I made thicker cookies than what the directions called for - it was easier for my 3 year old to cut them out without the dough tearing. The results were nice and a bit chewy (our first round of thinner ones were crispier and also excellent) and again easier for the 3 year old to decorate. Excellent taste! 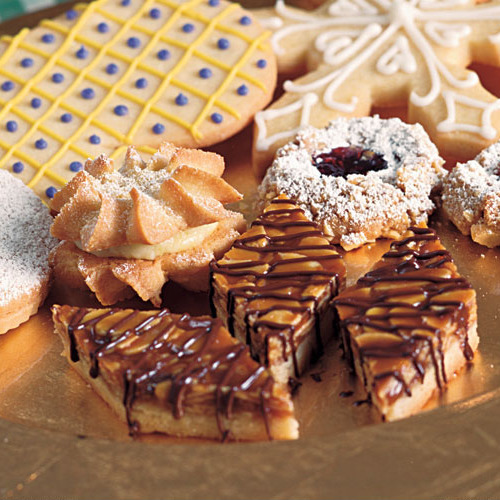 These reminded us of shortbread. Yummy! This is an absolutely amazing recipe for cutouts! The flavor is just outstanding. I just added the vanilla with the eggs as with most other baking recipes I've seen. And another tip that someone showed me is to roll the dough out on parchment, cut out the cookies, then lift the remaining dough from around the cutouts and bake the cookies on the parchment. That way, the cookies don't become misshapen in the transfer to the cookie sheet.